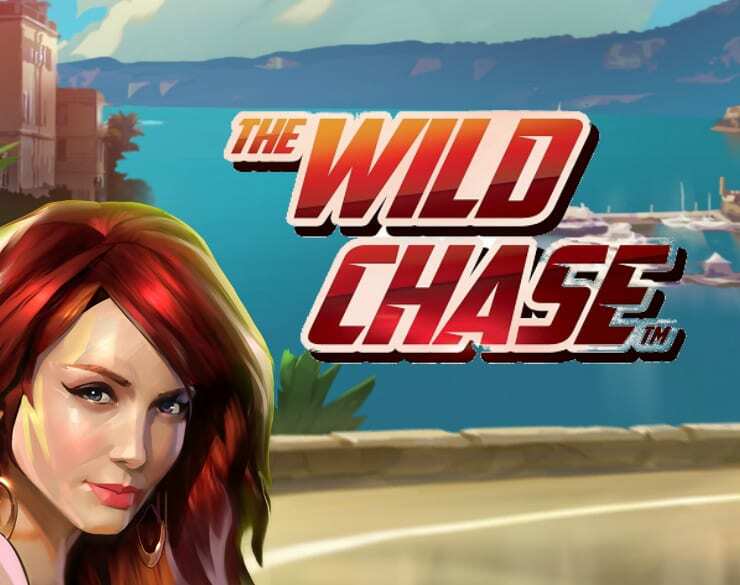 Here's a brilliant new game at WS and as you can imagine, The Wild Chase is full of fast and furious action and perfectly captures a movie heist theme. The glamorous sunny backdrop of Monte Carlo and its intertwining roads is no stranger to extravagant diamonds and heaps of cash. This 5-reel slot has up to 25 fixed pay lines on offer and a variety of stakes to please all players. If you haven’t made your riches in the base game with the Respin Feature and Multiplier Wilds, the Free Spins Bonus is there to deliver the goods. Enjoy your own chase as you pursue a big pay day. Find more games from the developer at wizardslots.com. 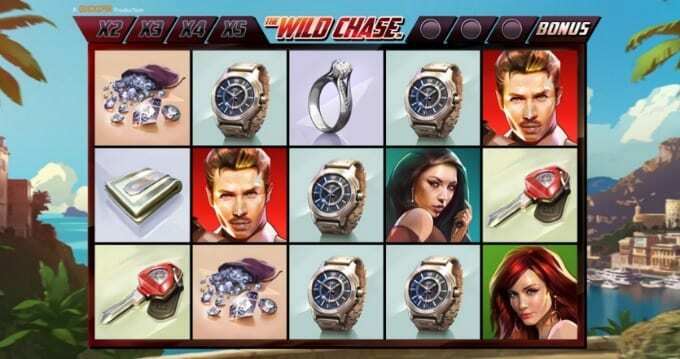 The Wild Chase gameplay is a typical example of a Quickspin slot, fast-paced action with multiple in-game bonuses to keep you on your toes. The base game itself is full of luxurious items that will keep adding to your bankroll. Look out for the low value symbols, such as: Wads of cash, rings, watches, car keys and glittering diamonds. The medium to high value symbols are all photogenic characters who are ready for a heist. A Quickspin game wouldn’t be the same without innovative bonuses and features. You’ve got the Respin FEATURE, Multiplier Wild FEATURE and Free Spins BONUS to make the most of. * RESPIN FEATURE – If you hit a winning combination the Respin FEATURE will activate. Each winning symbol sticks whilst the reels respin. Any additional winning symbols of the respin will stick for another respin. This feature will expire when no more winning combinations transpire. * FREE SPINS BONUS – You’ll receive 10 Free Spins when you hit 3 or more Bonus SCATTERS. For every free spin, you’re guaranteed a Multiplier WILD symbol. It has to connect to a winning combination to add to the win multiplier. If you’re a lover of Quickspin games then add The Wild Chase to your list of favourite titles. Not only is the design of the game extremely slick, but you’ll instantly realise the thought that’s gone into creating an exciting slot. Enjoy the great Free Spins Bonus and Respin Feature that will keep your winning spins rolling in. If you enjoyed this one then be sure to check out Wins of Fortune.